The ISO14001 standard helps companies like InterMoor improve their environmental performance through the establishment and management of an environmental management system. Not only is the certification essential to work for operators and large contractors in the oil and gas industry, but it also allows InterMoor to adopt a more efficient use of resources and to reduce of waste, saving money in the process. InterMoor UK have been certified to the ISO14001 standard since March 2007. Several measures have been put in place throughout the years, such as recycling, timers and trip systems. Education and training have been key to gaining the trust of employees. Providing evidence of efficiency and savings has also gradually helped win the doubters over. Recycling waste is cheaper than sending it to landfill, and timers and trip systems save electricity and therefore money. Unpopular decisions that have had a positive effect include removing all waste paper bins from the offices and work stations. 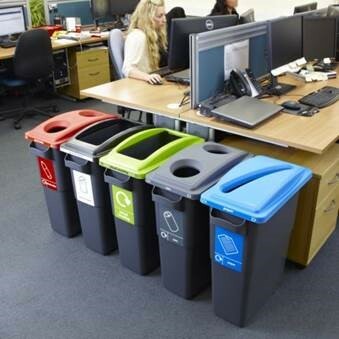 Some employees were very unhappy but benefits spoke for themselves: not only did recycling levels go up but staff ended up taking frequent breaks from their work stations, which in itself is a great health benefit. This was implemented in the InterMoor/Acteon Tern Place House building and, as a result, the waste to landfill rate dropped by 32% in 2015. InterMoor’s Morgan City and Fourchon facilities in the US were first certified in November 2011. InterMoor has implemented several measures to improve their environmental performance in these locations. For example, in offices, the team replaced traditional bulbs with environmentally friendly fluorescent light bulbs. The team also implemented a recycling program at both locations for some waste not currently recycled by the local governments there, such as batteries, used office paper, used motor oils, etc. The environmental management system has helped not only improve environmental awareness among staff but also achieve tangible and important results at these shore base locations, such as eliminate all spill occurrences that could impact a waterway. Implementing environmental management systems has had significant positive outcomes at each location, both for the environment and for the company’s bottom line.